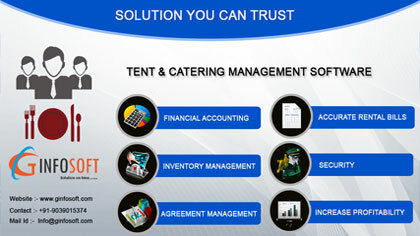 Tent & Catering Management Software is for Shuttering / Scaffolding stores to make accurate rental bills, manage Stock; Control Leakage, integrated with Financial Accounting. There is no need to record or maintain a diary for party wise rate agreement. Using Smart Emerald ERP Software, don't worry about management of Your Stock, Party Stock, Hire Stock, Excess, Breakage, Item Wise; Size Wise Reporting. Smart Emerald ERP produces very valuable and intelligent reports that are not possible in manual working. In Smart Emerald ERP your business is totally under your control with user rights.